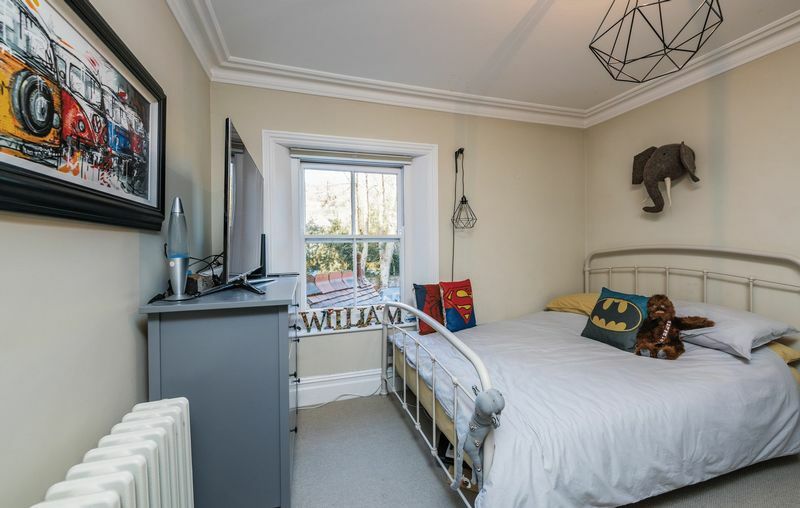 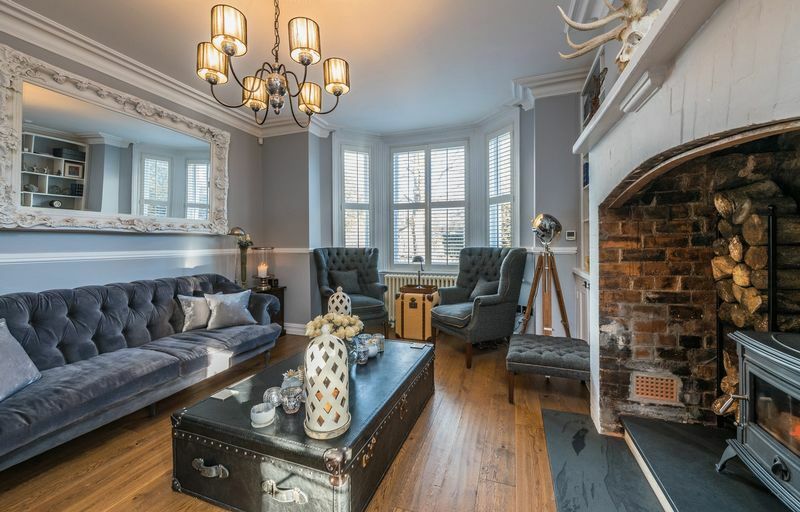 A superb three bedroom, semi-detached residence situated in Grade II listed, Saxonbury House occupying a prime position on Lansdown Road a mile from Abergavenny’s town centre. 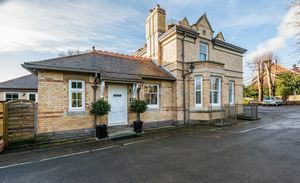 Saxonbury House underwent a painstaking refurbishment in 2013 to create a truly exclusive development with an emphasis on a quality rarely found on the open market whilst retaining a wealth of period features and character. 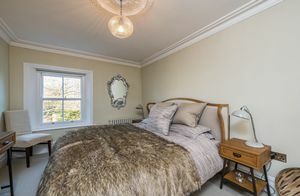 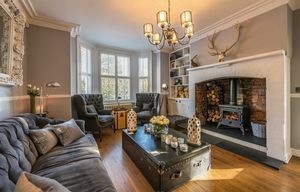 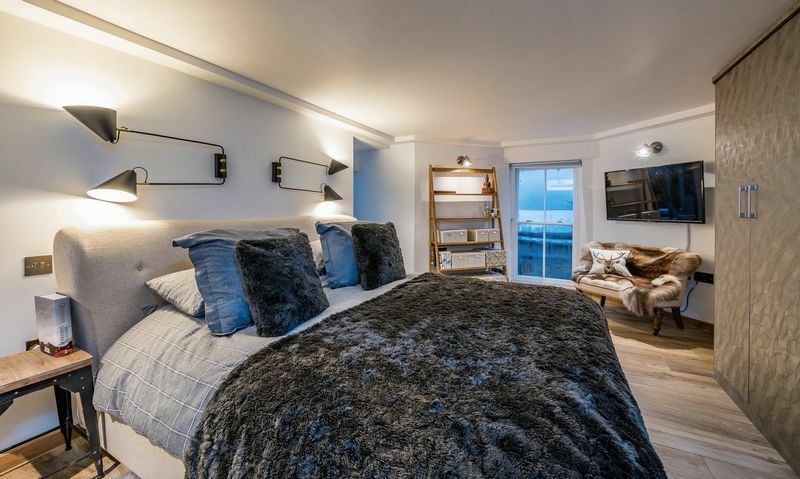 The property itself affords generous accommodation set across three floors and has been finished to the highest standard throughout. 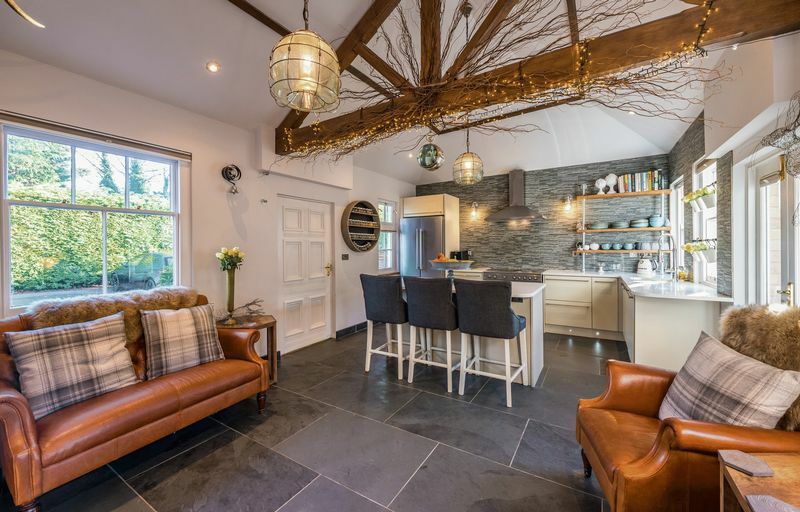 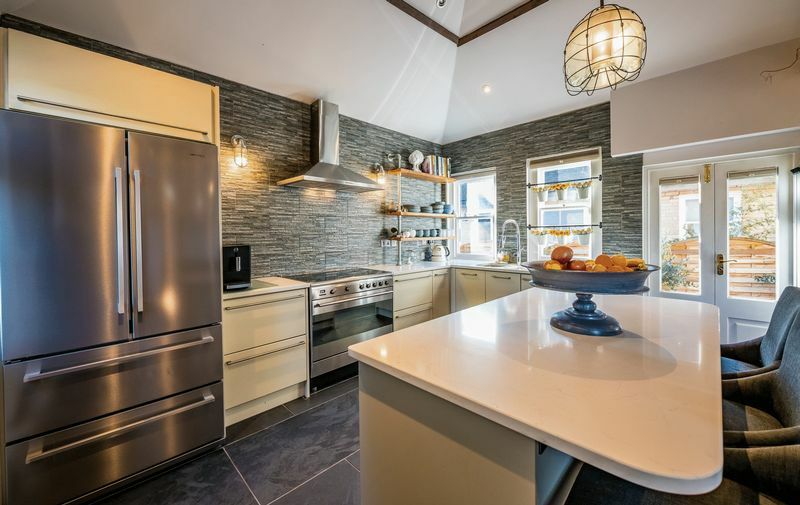 On the ground floor, there is a fabulous kitchen/diner equipped with a high spec Sigma 3 kitchen, incorporating an oak ‘A’ frame vaulted ceiling, leading to the impressive lounge which includes a feature bay window and imposing fireplace housing a wood burning stove. 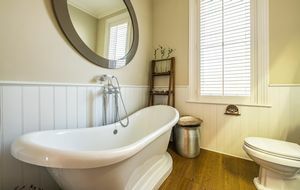 In addition, there is superb bathroom with freestanding bath, rear hallway and utility room. From the hall, stairs lead down to the lower ground level where there is a fabulous master suite including a large bedroom with extensive fitted storage and enjoying a large en-suite with shower room, fully tiled and screened with floor to ceiling glass panels. 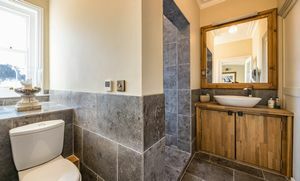 On the first floor there are two further double bedrooms and a beautifully appointed wet room with enclosed walk-in shower. 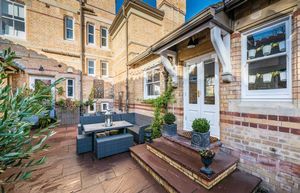 Accessed from the kitchen and rear hallway is an enclosed courtyard garden ideal for those looking for low-maintenance outside space. 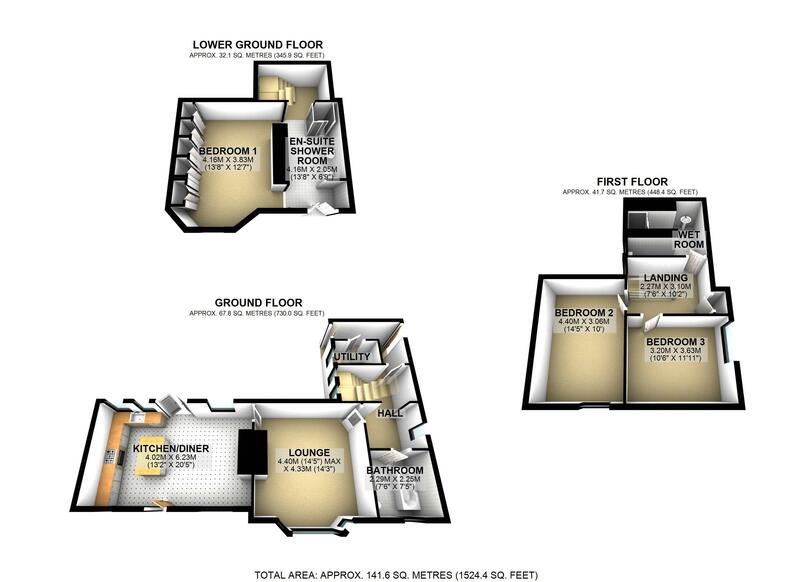 In addition, the property benefits from allocated parking for two cars. 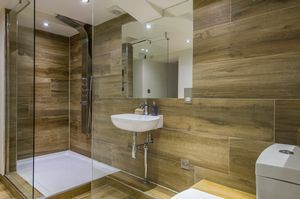 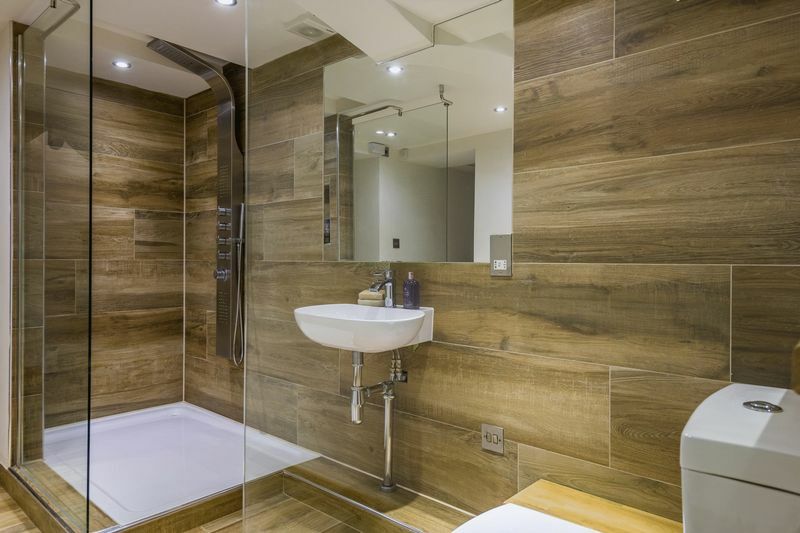 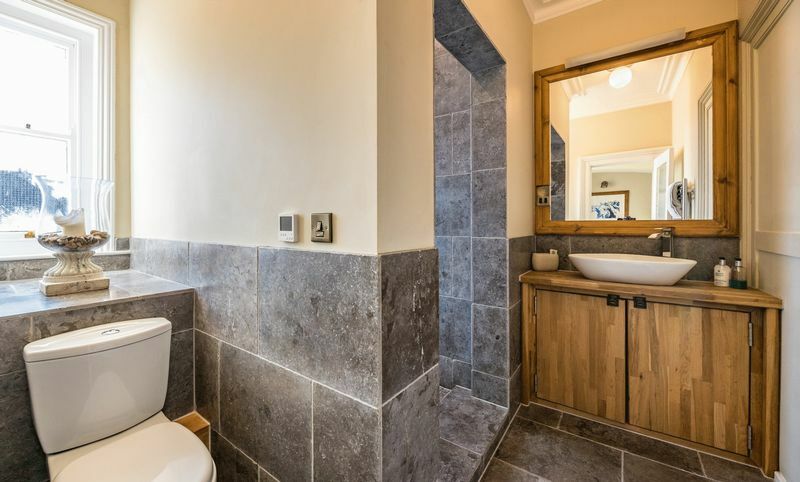 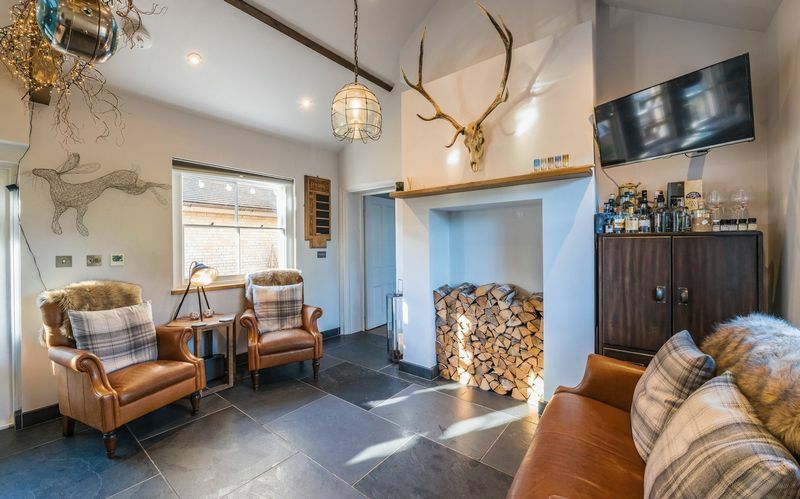 The range of quality fixtures and fittings includes oak flooring, Fired Earth tiling, slate flooring with underfloor heating and contemporary bathroom suites. 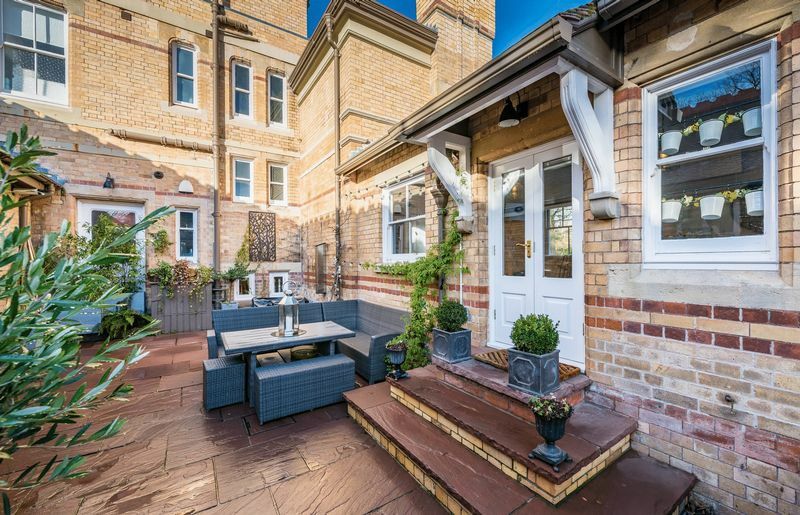 For buyers looking for a blend of exceptional quality and character this property represents a wonderful opportunity that would suit a range of potential purchasers.